The blasts rocking Tianjin last Wednesday has captured both domestic and international media attention over the past several days. 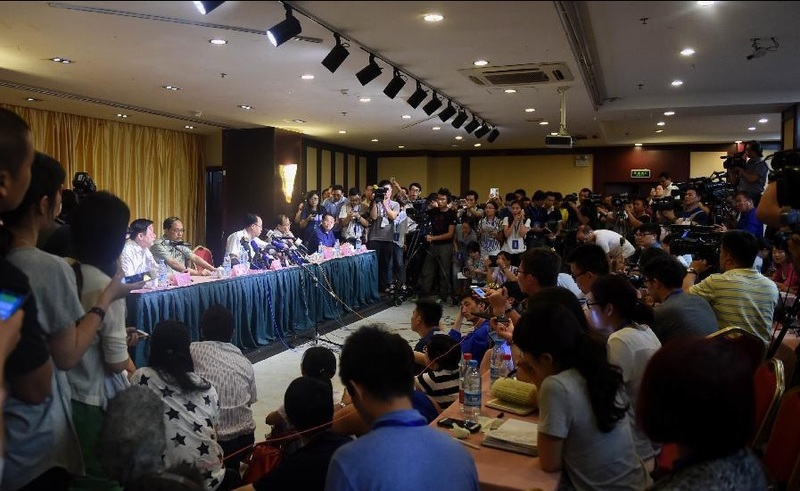 As of August 18, Tianjin Municipal has held in total 8 press conferences with regard to the incident. As the first few conferences were chaired by relatively low-ranking officials, the results proved unsatisfactory and the conferences were received by public criticism. The recent few conferences saw obvious improvement, as evident in the satisfaction of the reporters. With regard to press releases, China has seen evident improvement, yet there is still a large gap to fill. Only initiated from 2003, the press spokesperson system in China still suffers from mixed levels of competence in its spokespersons. They may be well capable of handling daily news, but when it comes to breaking news, their competence is called into question. All in all, the handling of press releases during emergencies needs to be improved, and the “media literacy” and the ability to manage public relation need to be strengthened. This is a fact. Thus said, the public, especially the media, needs to bestow more tolerance and understanding. They should hold firm belief that our press release system will gradually be bettered through trial and error. In dealing with breaking news, the handling of Western countries is worth learning. Upon closer scrutiny, when sudden tragic incidents involving casualties and treasure loss happen in Western countries, the information first released is more likely to depict the situation more seriously than it actually is, rather than vice versa. Subsequently, as more accurate information is learned through investigation, the government will revise earlier data to a “better than expected” one. In this way, the consequences of such incidents are more easily accepted by the general public, thus relieving the tension and emotional stress. The U.S. handled the information regarding Hurricane Katrina that hit New Orleans in 2005 in a similar manner. Right after the hurricane, Louisiana Governor Kathleen Babineaux Blanco revealed that “thousands of people” could have died from this natural disaster, officials from the federal government estimated the number to be “tens of thousands”, while the mayor of New Orleans said that “Ten-thousand is not an unrealistic estimation” during interview. The death toll was confirmed to be 1,836, much smaller than previously estimated. This is how they work it. The release the “worst possible” news, and in this way they gain the initiative. We always want to play down the disaster, with the motivation to not arouse panic, whereas in fact, with the death toll rising, the public’s fear and tension will be inevitably upgraded. There is rationale of information psychology behind it, which requires a reflecting heart to find out. This sheds light on the way we handle breaking news: press releases should respect, understand, and obey the psychology of the public. There is no need to hesitate whether to tell the public the worst possibility. Even if there is a last straw to the passion of the public, it is better received by a mentally prepared public than an unprepared one. Even if the results turn out to be less severe, there is no need to worry about going back on our words. Everyone is willing to accept a turnover. Things start to get better, or damages start to alleviate, these actually go along well with the inner public anticipation. It is not hard to understand such anticipation. When something big takes place, people instinctively want to know exactly what has happened. If they cannot get the information from official channels, they easily turn to hearsay. They may even rely on their own guesses, and they tell others their guesses and spread the word. The demands to know the truth becomes more urgent when the breaking news is directly relevant to them. When such demands are not met, panic and anxiety would be cultivated, and further inquiry and doubts ensue. Generally speaking, these mindset and actions are not malicious, and they can be easily assuaged by acquisition of demanded information, such as a detailed description of the disaster, rebuttals of rumor, or timely rescue and shelters. In all fairness, it is not easy to work for press releases. A well-trained spokesperson can only be forged by several scorching times under the flashlight and in front of the microphone. Especially the professional spokespersons. Without authoritative and detailed information from the departments who handle the emergency in the frontline, their work would only be more difficult. Just like the old Chinses saying goes, no clever housewife can cook a meal without rice. From this perspective, the ones under the flashlight should not be the only ones to learn about press releases. Generally speaking, good and sensible points. Hate to be a stick in the mud, but: the Chinese language version is less assertive in tone (especially the title). I think that's an important misrepresentation, though minor. Also, as charming as the grammatical awkwardnesses sprinkled throughout may be, did anyone proofread this translation? "A well-trained spokesperson can only be forged by several scorching times under the flashlight and in front of the microphone." Preach, etc. Nice approach! Should be taken up by the Chinese authorities.